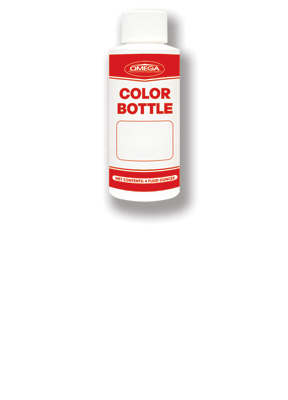 OmegaFlex Finishes are 100% acrylic-based finishes using the latest Dirt Pick-up Resistance (DPR) technology. They provide a flexible, durable, integrally colored finish, which will enhance the appearance of any plastered structure. 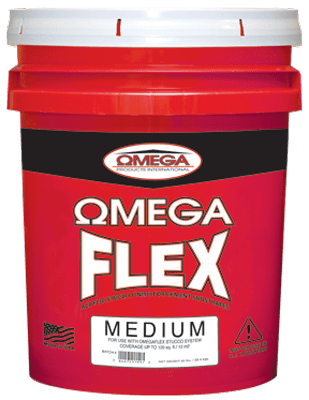 OmegaFlex Finishes may be sprayed or troweled to achieve a variety of texture options. ♦ Coarse (~1.5mm): For Heavy Sand-like Finishes. ♦ Medium (~0.8mm): For Medium Sand-like Finishes. ♦ Fine (~0.3mm): For Imperfect Smooth Type Finishes. Ideal for AkroTique. 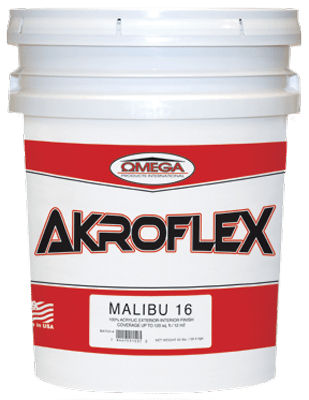 AkroFlex Malibu Finishes are 100% acrylic based finishes using the latest Dirt Pick-up Resistance (DPR) technology, which can produce a variety of textures depending on the aggregate size and application method. Malibu Finishes will enhance the appearance of any plastered structure by providing a flexible, durable, integrally colored finish. ♦ Malibu 12 (~1.5mm): For Coarse Sand-like Finishes with Slight Worm Driven Appearance. ♦ Malibu 16 (~1.2mm): For Medium Sand-like Finishes with Slight Worm Driven Appearance. ♦ Malibu 20 (~0.8mm): For Fine Sand-like Finishes with Reflective Quartz Aggregate. ♦ Malibu Fine (~0.8mm): For Imperfect Smooth type Finishes with Irregularities. 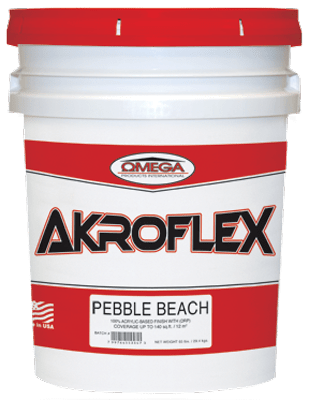 AkroFlex Desert Series Finishes are 100% acrylic based finishes using the latest Dirt Pick-up Resistance (DPR) technology, which can produce a variety of textures depending on the aggregate size and application method. Desert Series Finishes will enhance the appearance of any plastered structure by providing a flexible, durable, integrally colored finish. ♦ Sahara Sand (~0.8mm): For Uniform Fine Sand-like Finishes. ♦ Pebble Beach (~1.5mm): For Uniform Mdium Sand-like Finishes. Akroflex Semi-Smooth Finish is a 100% acrylic-based finish using the latest Dirt Pick-up Resistance (DPR) technology, which can produce a variety of textures depending on the application method. Semi-Smooth Finish will enhance the appearance of any plastered structure by providing a flexible, durable, integrally colored finish. Semi-Smooth Finish utilizes approximately 0.3mm aggregates and can be troweled to achieve an imperfect smooth Mission-style finishes or Old World appearance. AkroFlex Delta Finish is a 100% acrylic-based finish using the latest Dirt Pick-up Resistance (DPR) technology, which can produce a variety of textures depending on the application method. Delta Finish will enhance the appearance of any plastered structure by providing a flexible, durable, integrally colored finish. Delta Finish utilizes approximately 1.5mm aggregates and can be used to create medium sand-like finishes or lace textures. AkroFlex CircleTex Finishes are 100% acrylic based finishes using the latest Dirt Pick-up Resistance (DPR) technology, and can be utilized to produce a true worm driven appearance. CircleTex Finishes will enhance the appearance of any plastered structure by providing a flexible, durable, integrally colored finish. AkroLastic Finishes are 100% acrylic-based, elastomeric, textured finishes. They provide enhanced elasticity and a weather resistant finish, which when properly applied will enhance the appearance of any plastered structure. AkroLastic Finishes help bridge the hairline structural and shrinkage cracks inherent in traditional portland cement-based plaster construction. A variety of texture options are possible when spray or trowel applied, such as AkroLastic Malibu, AkroLastic Delta, AkroLastic CircleTex, and AkroLastic Semi-Smooth. 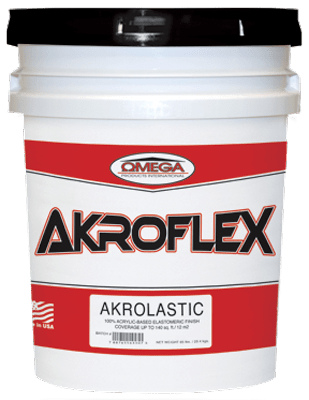 AkroLastic ProPlus Finishes are 100% acrylic-based, elastomeric, textured finishes that use the latest Dirt Pick-Up Resistance (DPR) technology. They provide improved elasticity, weather resistance, and stain resistance than standard acrylic finishes. 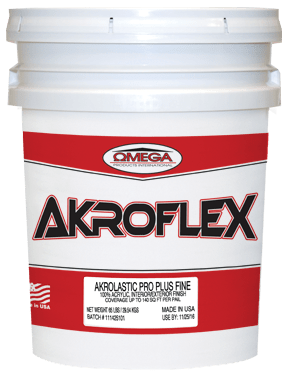 AkroLastic ProPlus Finishes help bridge the hairline structural and shrinkage cracks inherent in traditional Portland cement-based plaster construction. ♦ Fine (~0.3mm): For Imperfect Smooth Type Finishes. AkroSil Finishes are 100% acrylic-based, silicone enhanced finishes using the latest Dirt Pick-up Resistance (DPR) technology. AkroSil Finishes provide greater water repellency and superior resistance to dirt and pollution than standard acrylic finishes. By creating a flexible, durable, integrally colored finish, AkroSil will enhance the appearance of any plastered structure. AkroSil versions of many AkroFlex Finishes are available, which can produce a variety of textures depending on the finish and application method. 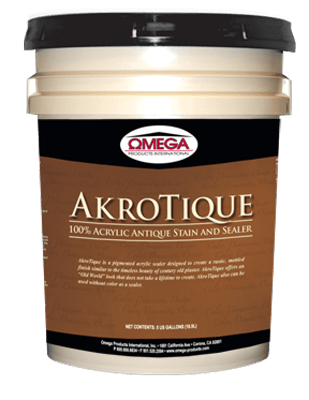 AkroTique is a pigmented acrylic sealer designed to create a rustic, mottled finish similar to the timeless beauty of century old plaster. AkroTique offers an “Old World” look that can easily be achieved. AkroTique also can be used without color as a clear sealer. The Color Bottle System is a factory blended, premixed liquid coloring system providing an accurate method for adding pigments to the AkroFlex Finishes, OmegaFlex Finishes, and other approved Omega products that require liquid integral color.